This is essentially a survey, entirely secondary material (with occasional quotes from primary sources and annotated bibliographies at the end of each chapter), written with a fairly high degree of sophistication. 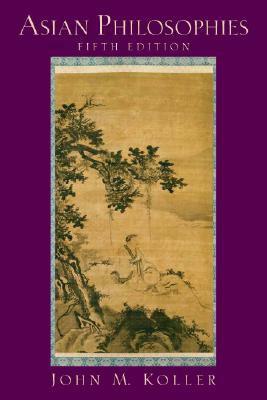 It would be a useful supplemental text for a junior or senior level Asian philosophy course, or as a relatively fast review text for graduate exam preparation. It essentially breaks into three major sections, on non-Buddhist Indian philosophies, Buddhist philosophies, and Chinese philosophies. The arguments of various schools are presented in fine detail, and the authors avoid the somewhat condescending temptation of having to find Western isomorphisms for the deepest and most interesting insights of the various traditions. No substitute for primary sources, but a nice introduction for an already philosophically assiduous reader. This is a very good book for those who want a quick introduction to some very complex philosophies. I'd like to continue my studies by reading a few books that go more in-depth. book for class, written by professor.many many many many many words. i think your time would be better spent on his sourcebook, reading primary source text.